For decades, many countries in Africa depend on fossil fuels and non-renewable energy resources for electricity. The limited supply of these sources of energy has spurred a few countries to look for alternatives that will ensure an uninterrupted supply of electricity. The island nation of Mauritius has resorted to using sugar cane, its main cash-crop, to produce about a quarter of its daily electricity needs combined with other renewable resources such as solar, wind and hydropower. 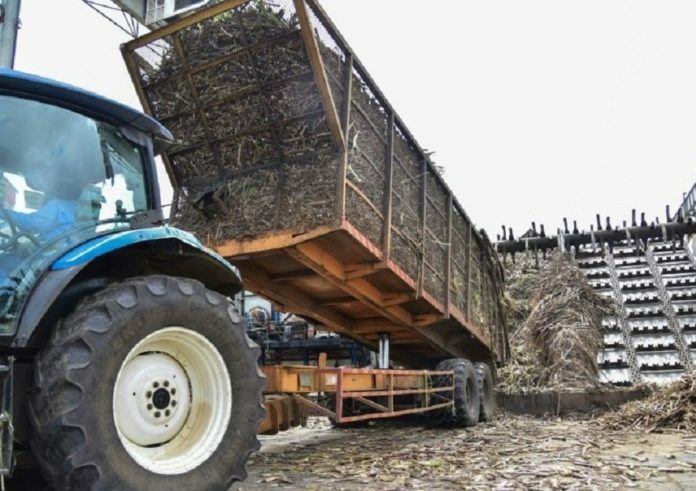 Dried and crushed sugarcane byproducts, which account for 14 percent of the electricity, is burned to produce energy through thermal power plants during the harvest season which starts in November, according to a report by AFP. Four sugar companies on the island produce about 60 percent of the nation’s electricity using their own thermal power stations that also run on coal when there is no supply of sugarcane byproducts at the end of the harvest season. “The government’s goal is to increase the share of renewable energy in the energy mix to 35 percent by 2025. The 35 percent is not far off; we will have 11 solar parks by next year and at least two wind farms,” said the deputy prime minister Ivan Collendavelloo who also doubles as energy minister. “Independent producers in the sugar industry will continue to provide the largest share of renewable electricity,” AFP quotes the minister. Omnicane, one of the sugar producing companies, receives tonnes of fresh-cut sugarcane from heavy trucks pulling huge trailers. The sugarcane is unloaded into a warehouse and 8,500 tonnes of sugarcane a day (900,000 tonnes yearly) are sent to the power facilities for processing, reports AFP. “Electricity is available 24 hours a day, on demand, without having to wait for the wind or the sun, since we can store bagasse [cane stalks] as we would oil and coal,” said Jacques D’Unienville, Omnicane’s manager. The sugarcane is crushed to extract juice for sugar processing. It is then soaked to extract all the juice and heated to dry before being squashed. The dried leftover is burned at the thermal power stations at 500 degrees Celsius to fuel turbines that produce electricity for the company and the national grid. D’Unienville told AFP that the carbon dioxide produced during burning is also captured and used for the production of fizzy drinks. However, the country is battling with the drop in sugar prices as a result of the European Union’s 2017 decision to end quotas and an increase in sugar production in Thailand, Brazil and India, creating a strict competition for the island’s farmers. The number of small-scale farmers has fallen from 26,000 in 2010 to 13,000 in 2018, according to the state. Until a solution is found, the continuous fall of farmers could affect production and interrupt the power supply the island enjoys from its main cash crop. Meanwhile, Ethiopia has built Africa’s first waste-to-energy plant which will incinerate 1,400 tons of waste every day from one of the largest waste landfills in Africa called Repi dumpsite which could cover 36 football pitches. Also, 250 million people in the Sahel region are poised to get 10,000MW of power through the development of solar power systems by 2025. The initiative, known as the Desert to Power programme, is led by the (African Development Bank) AfDB and other partners to turn Africa’s deserts into new sources of energy.